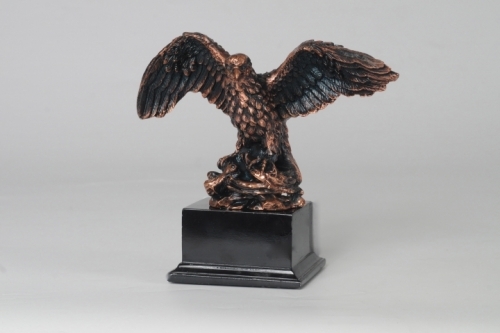 This stunning Little Eagle Statue on High Base is individually bronze plated. Meticulously sculpted by hand to ensure this piece is of exceptionally fine detail as well as lasting durability. A unique and beautiful addition to your home or office.